Heino Stöver is a social scientist, PhD and Professor of Social Scientific Addiction Research at the Frankfurt University of Applied Sciences in Germany, Faculty of Health and Social Work. Since 1987 he has been director of the Archive and Documentation Centre for Drug Literature and Research at the University of Bremen. He is the president of the national umbrella organisation working on harm reduction for drug users, called akzept e.V. (Bundesverband für akzeptierende Drogenarbeit und humane Drogenpolitik). Since 2009 he has been the director of the “Institute of Addiction Research”. 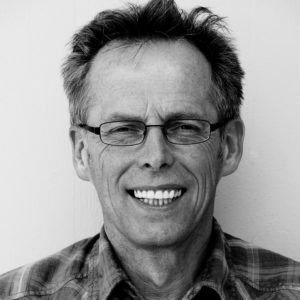 Heino Stöver’s main fields of research and project development expertise are health promotion for vulnerable and marginalized groups, drug services, prison health care and related health issues (especially HIV/AIDS, Hepatitis C, drug dependence, and gender issues). His international research and consultancy expertise includes working as a consultant for the European Commission, United Nations Office on Drugs and Crime (UNODC), World Health Organization (WHO), European Monitoring Centre for Drugs and Drug Addiction (EMCDDA), International Committee of the Red Cross (ICRC) and Open Society Institute (OSI) in various contexts. He has published several articles in peer reviewed international journals and books on preventing and treating infectious diseases adequately (HIV/AIDS, hepatitis, STIs, and TB), opioid substitution programmes (including the provision of heroin) in the community and in prisons, and general health care issues. He is co-founder of the International Journal of Prisoner Health. Heino Stöver has gained project experience by participating in several projects in the European Union, Africa, Central Asia, and Asia. Received honoraria/consultation fees from Mundipharma, Gilead and Sanofi Aventis.